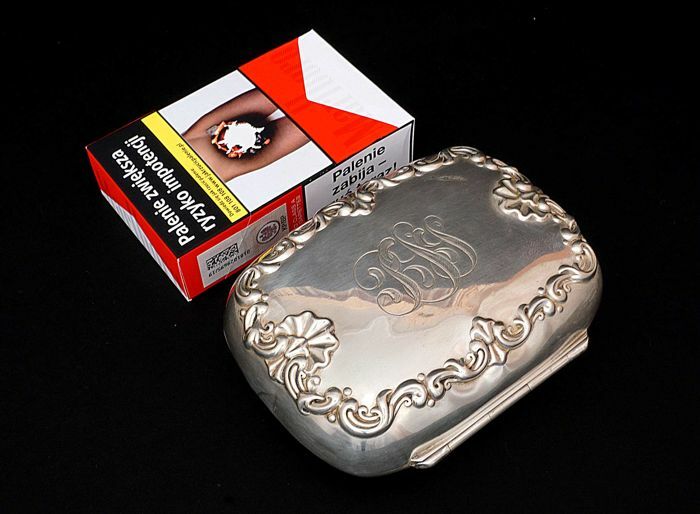 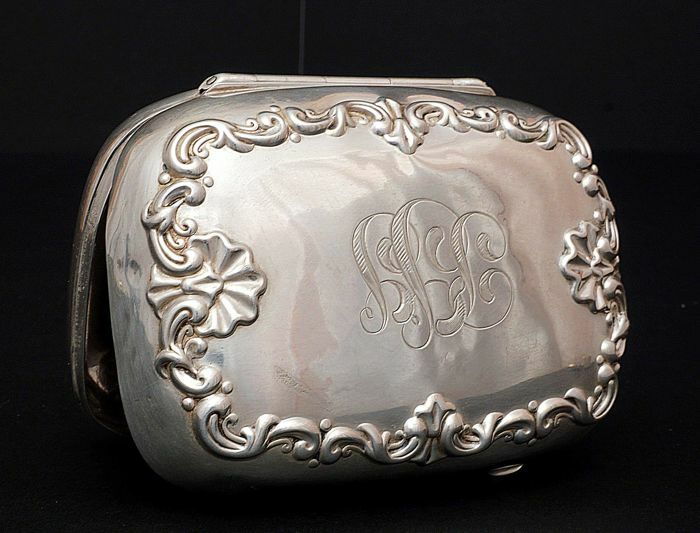 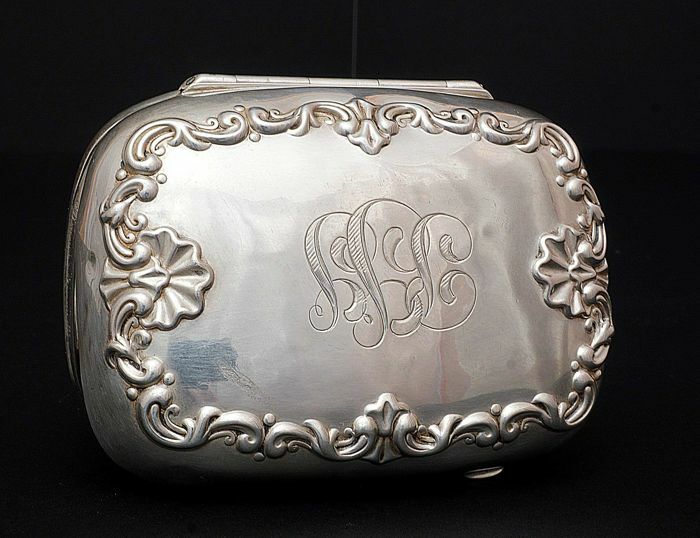 Beautician box made of 925/1000 silver. 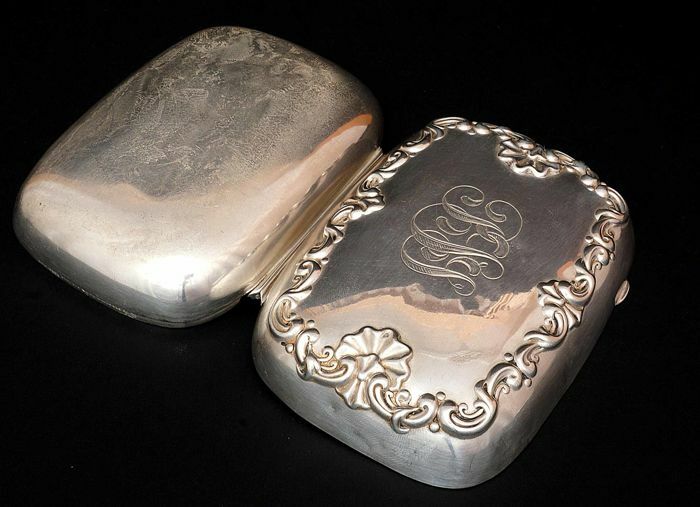 Dimensions 10 x 7,5 x 4 cm, weight 100 grams. 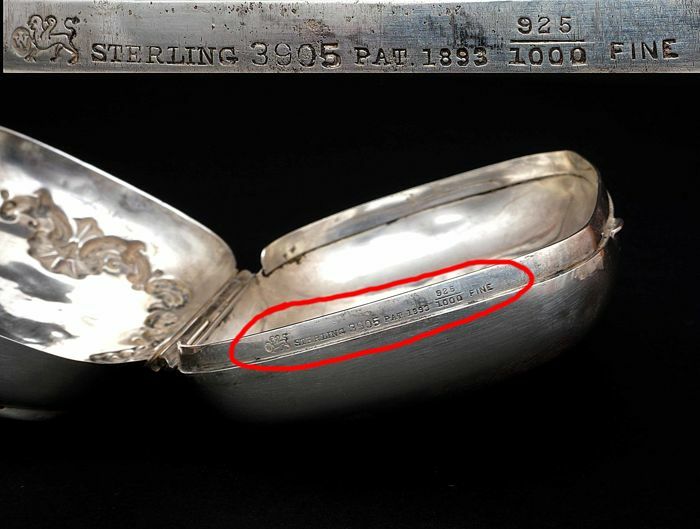 Created in U.S. in 19th/20th century. 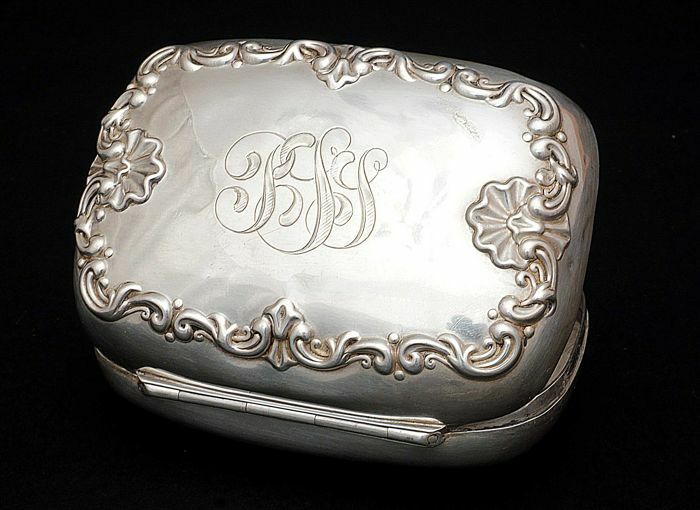 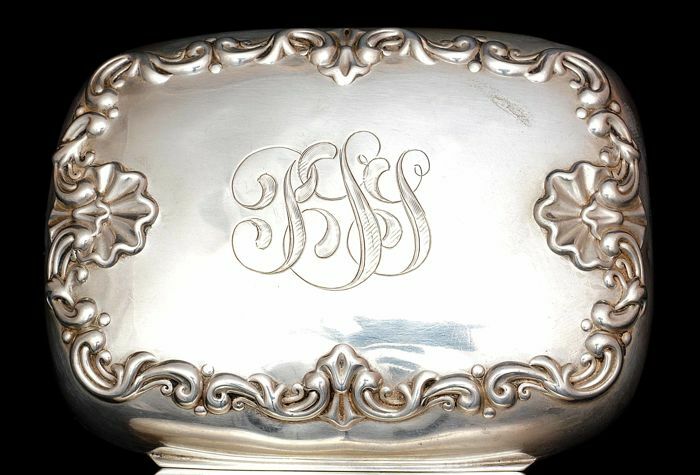 Silver marked Sterling and silversmith mark PAT 1893.